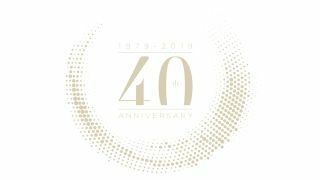 Focal to launch ‘40 year’ anniversary range at Munich High End Show | What Hi-Fi? Focal turns 40 this year - and the milestone birthday won’t go uncelebrated. The French hi-fi brand, born in 1979 in Saint-Etienne in France, has a variety of celebrations planned for the year, including some new commemorative products due to be unveiled at the Munich High End Show in May. As if we needed a reason to start counting down the days to one of the world's best hi-fi shows! Forty years after its first speaker driver manufacturing workshop was set up within a precision mechanics company in France’s Saint-Etienne, Focal is now a 250 employee-strong company, part of the Vervent Audio Group alongside fellow electronics experts Naim Audio, and with a strong collection of 'Made in France' high-end speakers and headphones under its belt. Naturally, we look forward to seeing how Focal expands its eminent catalogue this year. Focal's presence at last year's Munich show, where it launched new models in its flagship Utopia III Evo speaker range, is certainly a tough act to follow.